Since Black Box has just come out with a stunning, and much needed resin cockpit set for the Monogram 48th scale F-5E, I thought a review of one of this kits latest incarnations would be in order. 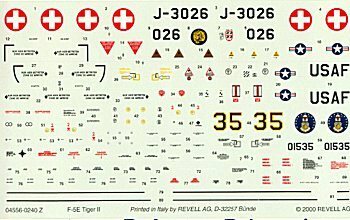 The kit is a Revell of Germany boxing, but anyone who has ever built the Monogram F-5E will recognize this kit as being from the Monogram molds. 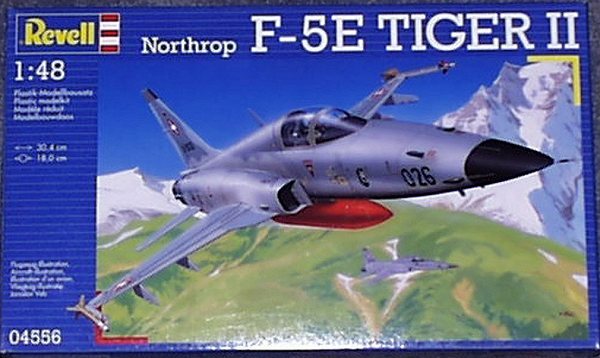 The kit box art shows a pair of Swiss F-5s roaring over the Alps. 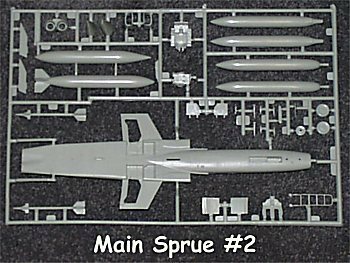 Unfortunately, this kit does not contain any of the necessary modifications for an accurate Swiss F-5E. These would include the belly chaff/flare dispenser, flat "duckbill" nose cone, wing root leading edge extension (LEXs), and vented nose landing gear door (like the F-5F has). This kit is simply a reissue of the very old Monogram kit with Swiss decals. If you would like to correct the nose, and add the LEX mods, Cutting Edge makes a nice resin "Navy F-5 Update Set" that is well worth the $6 investment. However, you would still have to scratch build the chaff/flare dispenser. Even though the the plastic looks gray in the picture, it is actually a very light blue/gray color. The are 28 piece on the first main sprue, and 36 on the second main sprue. 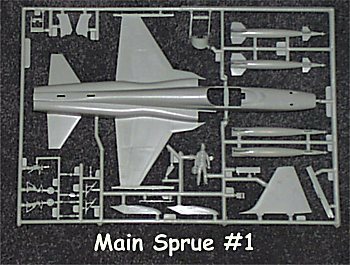 There is a separate clear sprue that is individually bagged, and contains the canopy, windscreen, and HUD glass. For a 30 year old mold, there is relatively little flash, but some warping, and sink holes in the wings. Like every other issue of this kit it comes with a totally inaccurate weapons load consisting of two early LGBs, and two 20mm gun pods! Two AIM-9P Sidewinder missiles are included, but are probably best replaced with Hasegawa ones. Also Included is a centerline fuel tank, and a decent looking standing pilot figure. The main draw, for me anyway, was the decals. I've always wanted to do a 48th Swiss Air Force machine, but to this date, no one (that I know of) has done decals. I asked about their quality in a post at the discussion group, and got a thumbs up, so I bought the kit. The decals are nicely printed will the necessary data in what appears to be German, which is one of the three Swiss national languages. The markings are for aircraft J-3026, and the instructions tell you to paint the centerline fuel tank Day-Glo red, indicating the aircraft is an aggressor. The other decal option is for USAF aggressor 74-1535 painted in the Grape camouflage.